Here’s some creative editing on a sign that originally asks people not to leave their garbage lying around because the area isn’t a dump. The sign now (predictably) invites people to place their trash here because it is a dump. Of course. 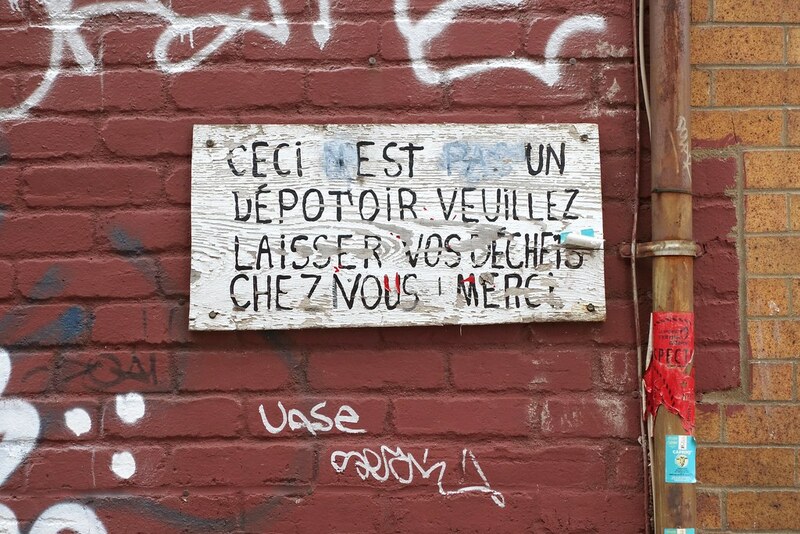 From Montreal’s Plateau Mont-Royal neighbourhood over the weekend.